For the past 4 months I’ve been trying to find a formula that my son will not have heavy reactions to. I’ve done Baby’s Only, Weston A price cows/goat/liver and have failed each time. Even diluting the dairy. my son ended up with mucous spewing out of his eyes, nose and a wet cough. My son decided to stop nursing at almost 11 months. I think his last nurse session was the day before his 1st birthday. Date nights were tough because I had to come back and feed him. I found out by trial and error that he did not react to hemp milk. So I would give him that with some water and maple syrup but after the nursing stopped I felt obliged to find something with all the necessary immune boosters and today I found out how to do it. Note: I believe that all babies and children should have some form of immune boosting supplements for as long as possible. At age 2, your babies immune system is in tact. So I plan to give this formula to him till age 2 and if he wants to continue I don’t mind. I’ve taken the Weston A Price foundation Dairy free formula and added my own ingredients and amounts. Almost 5 years ago to this day I was experiencing extreme pain in my upper right shoulder in between my shoulder blades. I remember watching Mad Men with my husband and he would spend the evening massaging just that section because it felt super tight. I was pregnant with my first daughter Riley and assumed it was just the weight of the baby and gaining an unfortunate amount of weight. Well, shortly after having the baby early due to an issue with my gallbladder (cholestasis of pregnancy) I noticed the pain was always there maybe not as much and not as intense. I got adjustments, massages and pain still there but better. I noticed as well whenever I would bend over to do a deep push up or yoga the gallbladder would have a “charlie horse” or seize. It was painful. Then I thought it was weight/diet related so decided to lose a bunch of weight. I did HCG and the pain was intense during that weird crazy diet. I started googling organs in the upper right back area and gallbladder showed up. So between the issues with the pregnancy and the pain I knew something was up. I started researching and found out about gallbladder disease, how to avoid gallbladder issues, how to clean it out. I was shortly thereafter pregnant with my second baby. So couldn’t do the cleanses but knew that if I took daily doses of Milk Thistle and Dandelion Root I can avoid an early induction with my second baby. My OB was fascinated by all this and was so impressed that I avoided early induction with the second baby. I still had the cholestasis but it didn’t turn on until 39 weeks versus 34 weeks with my first. About a year after I finished nursing my baby I did the Dr. Schulze Colon cleanse and did this for about 2 weeks but added Apple Cider Vinegar to the juices 5 times a day. This is longer than recommended (only 5 days after 1 week of doing Formula 1 ) but my body really needed it. So much crap came out. Won’t go into details. But it was scary effective in cleaning out a lifetime of crap in my colon. Husband then followed suit and same thing happened with him. I felt amazing and the cleanse gave me a new lease on life. I have since done the Dr Schulze cleanse 4 times and the gall bladder cleanse 3 times. Each time I’ve removed huge stones and cleaned out my body of weird things. I did it to the T (I didn’t buy the other supplements they recommend just lemons, extra virgin olive oil and epson salt) and I had over 100 stones come out over the course of 24 hours. Some the size of a prune and one the size of a little golf ball. Biggest ones came out first, then the smaller and smaller ones and then the powdered dissolved particles. I know probably TMI. It did not hurt at all. The epson salt relaxes the gallbladder so it can easily release and the combo of the lemon juice and olive oil it releases the stones. I did feel a little nausea about 2 or 3am but that passed by 6am. Day 1-7 I did Dr. Schulze Colon Cleanse Formula 1 and Formula 2. Drank the Formula 2 five times a day in 32 ounces of water each time with some apple cider vinegar added for taste and to help break down the stones. I only ate vegetables soups, fruits and vegetables and no fats. It was tough for me to do this but I wanted to alleviate the pain in my gallbladder. I’ve done it where I ate regular meals while doing the cleanse and I didn’t get the same results. So I just made it easy on my body and ate only those things that are easily digestible. Day 7 – Start the Dr. Hulda Clarke cleanse. I felt sick if I ate anything after 1pm so I didn’t eat anything other than some sips of water. Then did the cleanse as noted in the the link I’ve provided. That morning magic started happening. When allowed I started out eating a piece of fruit and then some broth and soup. Just kept it light all day and then drank another 32 ounces of water before going to sleep. You will see stones continue to be released each bowel movement for 24 hours. I hear of people with gallbladder attacks and removal of their gallbladder. It all comes down to how you care for your body and cleansing the gallstones that will help you in the end. I strongly believe that the removal of the gallbladder will lead to other attendant problems. So I’ve learned how to take care of it and will continue to do routine gallbladder flushes until I no longer have any more pain in my gallbladder. Note to reader: I’m not a Doctor, though I will be going back to school to get a degree in pediatric nutrition once son is old enough to attend school. 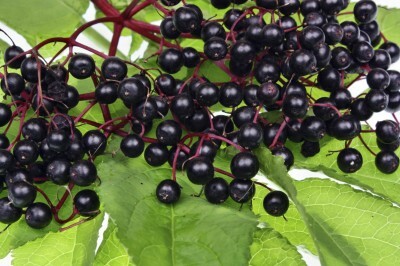 I used to buy Elderberry syrup every three weeks, especially when my kids started going to school. I realized I was spending a lot of money when I could just make this myself. I also wanted to experiment to add more beneficial nutrients plus, local raw honey and see how this helped. During the time my kids are in school, they get this every single day with their morning “vitamin” juice. Us parents take shots of this. It’s a huge immune booster and I sincerely believe has been key to my kids not getting sick at school in the past year. 2/3 cup Organic black elderberry or dried elderberries. 0. Sanitize the mason jar you will be using to pour the elderberry juice into. 2. Bring to a boil, cover and let simmer for 30-45 minutes or until the liquid has been reduced by almost half. Stirring occasionally. (I have found that if you don’t the elderberries stick to the bottom). 3. Pour through a strainer into a glass mason jar. Squeeze the elderberries through the strainer to get as much liquid out as possible. 4. Let the juice cool down to room temperature and then add 1/2-1 cup of honey and stir. I found that 1/2 was sufficient but some like it a little sweeter. 4a. If you are making some for a baby not yet 1 year of age, do all of the above and save a small amount in a tincture bottle for the baby without any honey. 5. Add 2 tbsp of raw vitamin C and stir very well. 1. Health and key underlying causes to ailments and addressing these naturally (this includes the incorrectly drugging of babies and children and adults with psychotropic drugs instead of finding what diet deficiencies they have. My Running also fits into the “health” category). 2. Alternatives to avoid taking antibiotics and cold hard truth about what the antibiotics do you to your body/gut due to excessive use. The fact that probiotics and cod liver oil are foreign to so many people I’ve met as to how effective they are for your babies and yourself. 3. Vaccines, the truth about them and that I believe an alternative schedule from the 1980ies is much safer than today. I am a firm believer that due to the combo and excessive shots given in today’s schedule, autism has become more prominent. 5. Our children raised with love but also with their exchange in with the household. Learn how to make money, produce and exchange with the household so when they turn 18 they know how to live in the world outside. My girls love helping me clean up when I make it fun, cook, sweep and of course decorate the house during the holidays. Push contribution, you will have happier child. There I said it. I hope you all have a Happy Holidays!!!! You are welcome to answer passionately about what you are passionate about! I get my first “sick call” from my daughter’s school. My daughter just started 4 days earlier so I was kind of shocked. Earlier that morning Riley had a funny cough but I figured maybe it was pollen related due to allergies to the tree pollen. Oh and of course, I was giving her dairy in her sippy cup and in her lunch box. Duh!? Sure enough, Riley had a 101.7 fever and was extremely lethargic, coughing really bad, running nose and just wanted to lay down and watch shows or go to sleep. We came home and I was non stop Nurse from Thursday afternoon to Sunday night at 9pm….the illness of bad enough that Jordyn then got the illness. She was just 1 day behind Riley. I was super worried about Riley’s cough and congestion and tried to put my ear to her back to hear if there was any liquid in her lungs. I decided it best to be safe to go to Dr when she said her ear was hurting. So, off to the Dr I went. Dr Cano at Suncoast Pediatrics never fails. Love that guy. He’s a bit deadpan and a total conservative. Looks at Riley, everything is great but says she’s just got a mid ear infection, mostly caused from the extreme congestion she has. Said he doesn’t advise antibiotics unless it gets out of control, gave me a prescription as a back up in case it go out of hand, said wait 48 hours and continue to administer garlic mullein oil in her ears. I proceeded to cut out all dairy, loaded her up with immune boosting vitamins and fruit and several baths daily to clean out the congestion. And I gave in and started giving her Motrin because she was so miserable. As if the sleepless two nights were bad with Riley, the next two nights with Jordyn were even worse. I was up every 10-15 minutes with Jordyn who was vomiting green mucus and also had a bad fever. And then it started taking a toll on me. I got a bit congested. only. Thank god. Jordyn hated and refused any immune boosting vitamins unless it was a juice and Riley was taking Motrin 2 times a day. Her fever was going up and down. Always right back at 101.7 or a bit higher. My husband got desperate and went out to buy more fruit and get antibiotics for Riley who looked like hell. The pharmacy was closed?!! Was that a sign? I kinda felt it was. I knew the Motrin was causing a false break in the fever and decided despite how miserable Riley was to take Motrin out of daily the routine today and just let the fever, ear ache run it’s course. Sure enough the fever slowly dropped from 101 down to 98.6 by 9pm. The Motrin while helping with the pain, was delaying her getting better. Jordyn on the other hand had another bad night of tossing and turning and gross coughs. I gave her a bath at 2:30am despite her begging me to not. Finally 3:30am-6:30am she slept straight through. From 6-9pm the girls both slept on me on their glider. Riley woke up totally back to normal with no ear ache, slight congestion and a small cough. Jordyn woke up with a little worse but both back in great spirits and playing and laughing again. Yay I was so happy my girls were back. And they ate a whole apple. Prior to that they would eat small bits and drink 8 ounces roughly of liquid. 2. Tons of fruit made available (bananas, apples, strawberries, blueberries and raspberries). 3. Liquid juice of some kind, either Ultima electrolytes or apple juice mixed with water, probiotics and Elderberry syrup mix. 4. Smoothie fruit with garlic, vitamin C and elderberry syrup. 5. I syringed elderberry syrup, 1000 mg of powdered vitamin C and some maple syrup and probiotics 2-3 times a day, always after some food. 8. Thieves oil applied in the bath, on their bodies, and around the house. Loved this article that my friend sent to me. 9. Humidifier, head elevated on pillows and small drops of eucalyptus oil in the bed. 10. Thieves oil on the body as described in #8. 11. Assists; the Body Comm, was amazing with Riley. 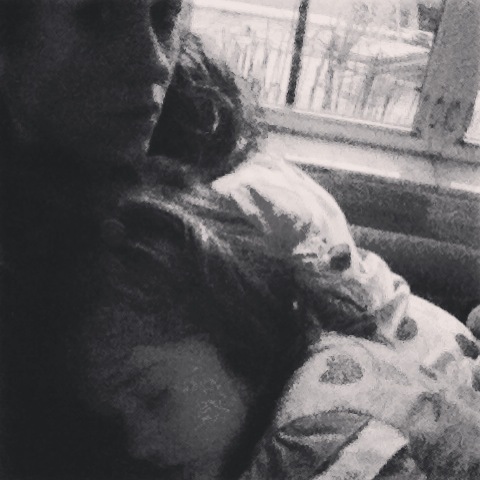 I am writing this because while it’s unbelievably painful and was draining on both myself and my husband, I would’ve rather suffered this way than to give my girls antibiotics that would then further destroy their gut and cause other attendant problems that I wasn’t willing to endure, one being fast relapse of illness and other allergies created from it. I learned something from this, that while antibiotics are a must for some, you can avoid it. And it’s better to avoid it. This article really gave me great insight on why I avoid it at any cost.